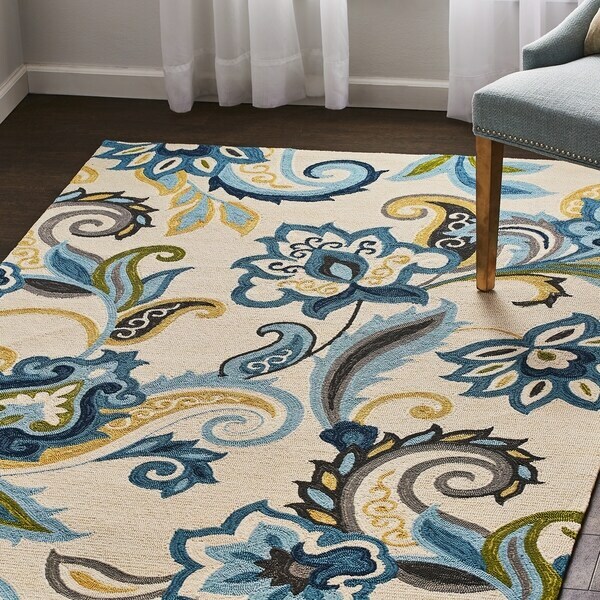 Give your home a floral flourish with the Zhinko loop pile area rug, which features stylized flowers and paisley designs with a loop-pile design for a soft, smooth feel. Available in a variety of sizes, each rug is made of microfiber to create a soft, durable weave that is resistant to stains and fading for a timeless style that's built to last. Safavieh Monaco Boho Watercolor Green/ Blue Rug - 5'1" x 7'7"